1970 specification intersection marker. Manufactured between 2006 and 2008. 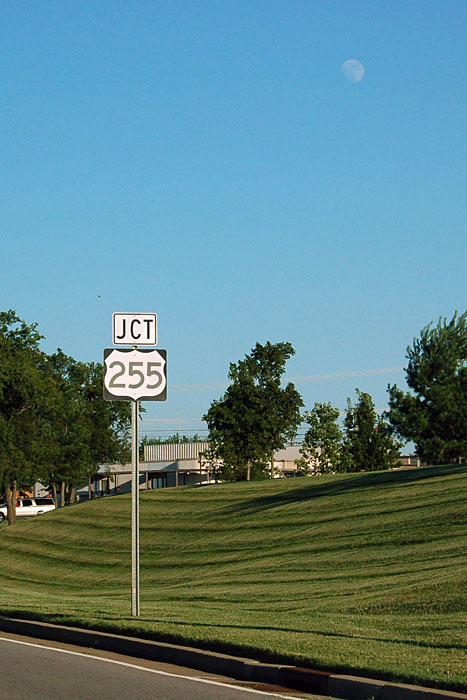 Error shield for state secondary route 255. Photo by Jake Bear, 7/14/2008.